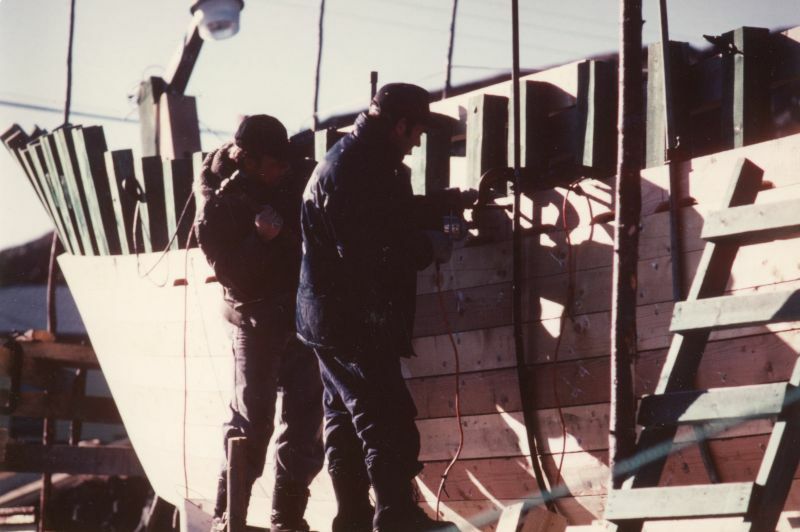 Having built a number of smaller boats, known as flats, Vernon Petten began construction on the thirty-five foot Shirley & Beulah in 1955. 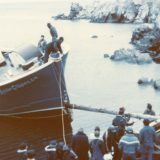 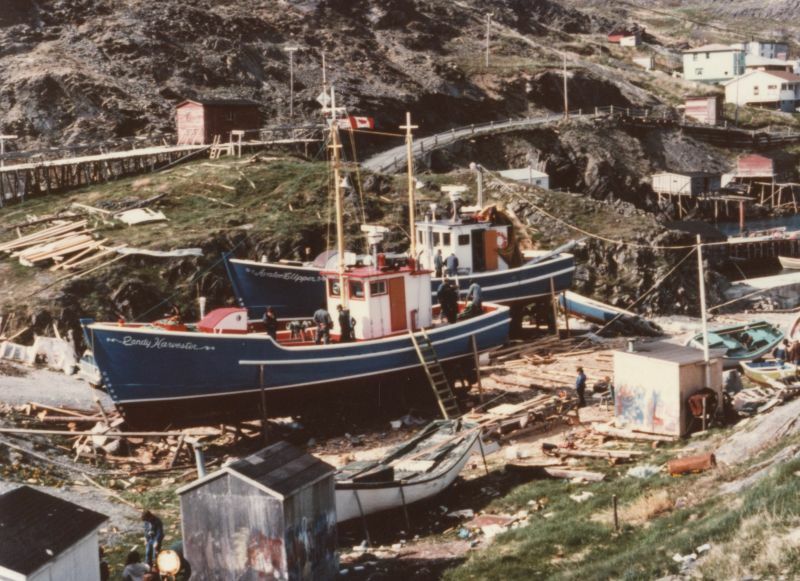 It was the same year the Government of Newfoundland and Labrador enacted the 1955 Fishing Ships (Bounties) Act. 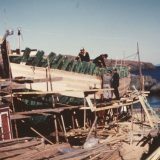 “She was one of the first bounty boats. 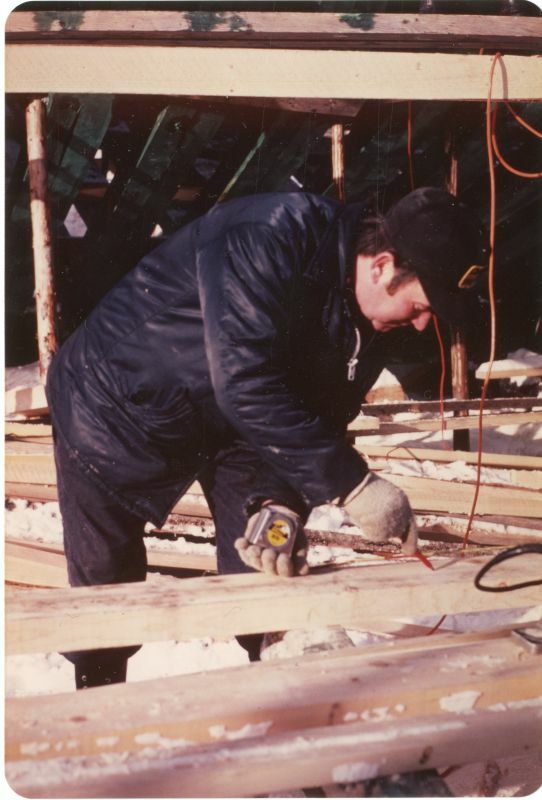 They’d pay you so much per foot,” said Vernon. 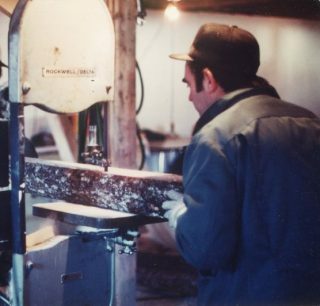 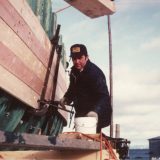 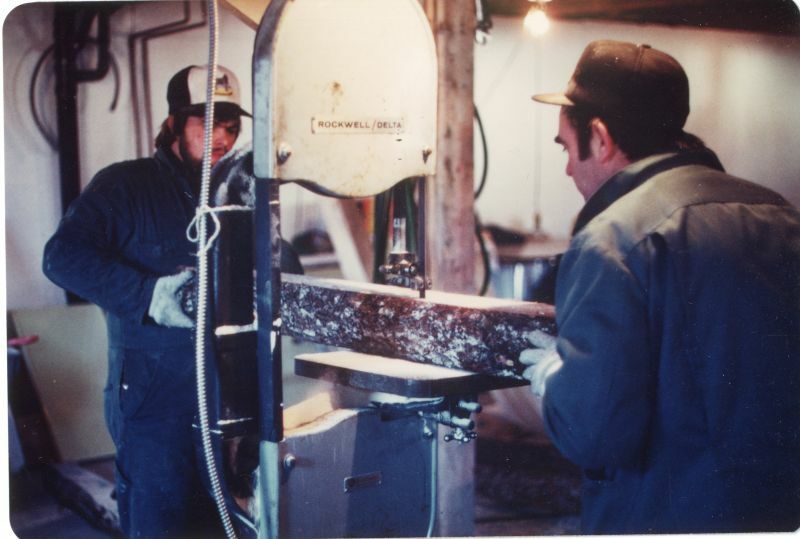 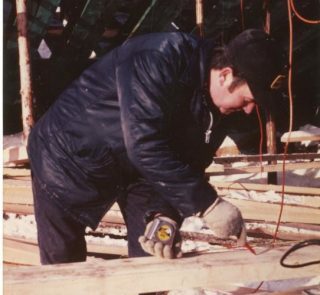 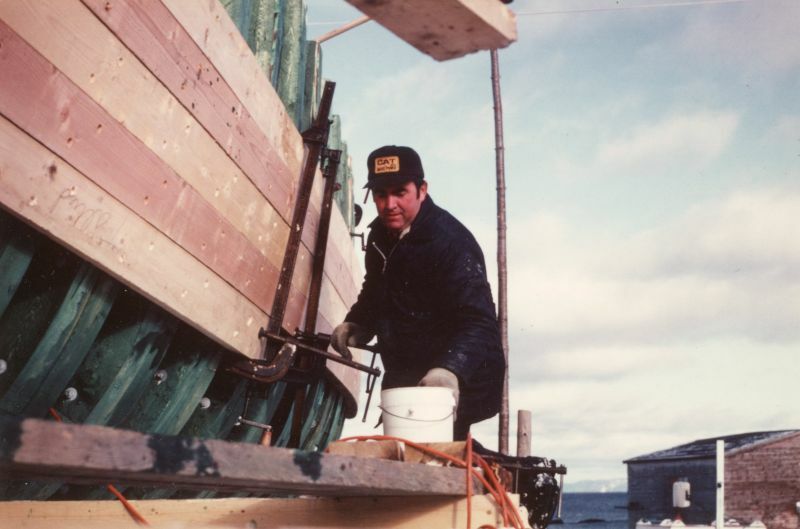 Vernon Petten using a bandsaw to cut timber for the Avalon Clipper, launched in 1981. 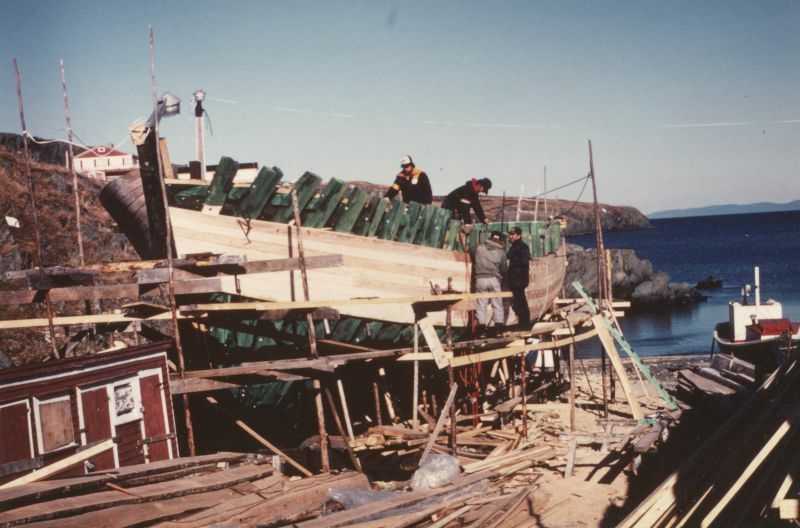 When nearly finished, the Shirley & Beulah was brought down to the cove to complete the final stages of construction. 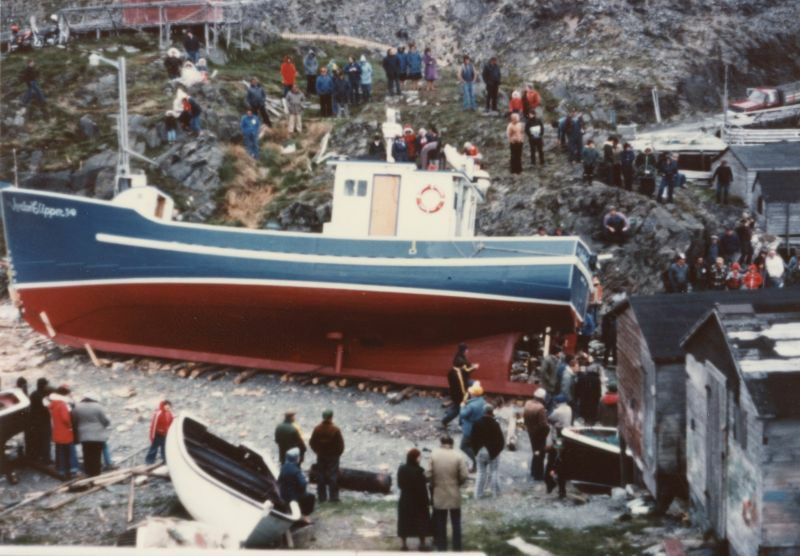 “When I got her down there, this older man down in the cove, he’s long gone now, he came out and looked at her. 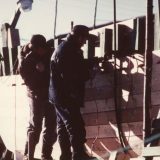 Uncle Esau was his name. 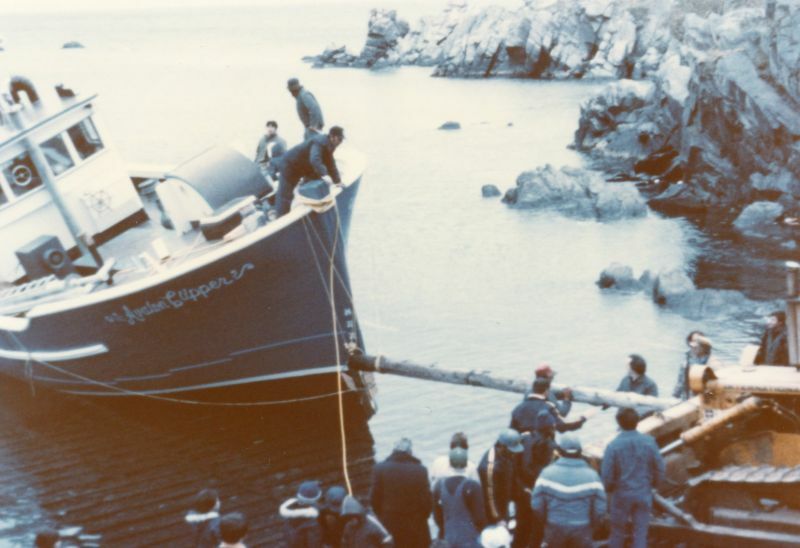 I said, “Uncle Esau, what do you think of her?’ And he looked and her and he says, ‘She’s not going to be any good.” I said ‘why do you say that?’ ‘Well,’ he said, ’she’s not the right length. 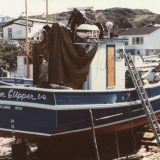 She’s too long for two lops and not long enough for three.’ And when I’d be out and it was windy, that was always in my mind,” Vernon laughs. 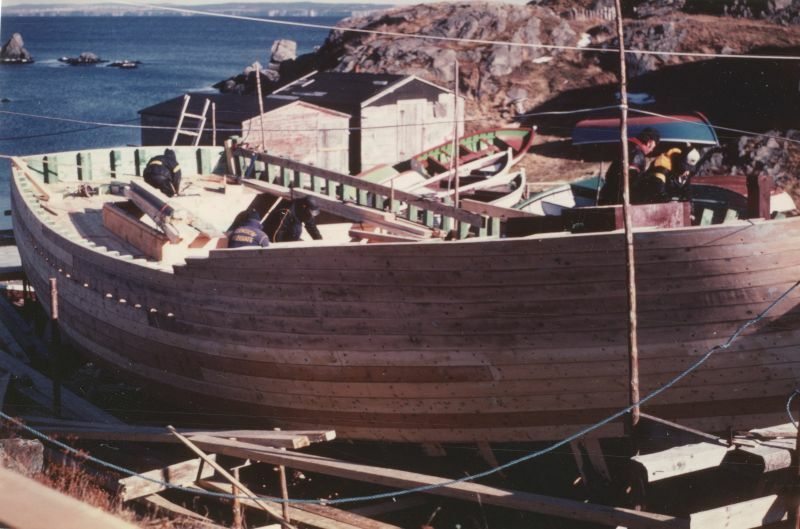 As years went on, regulations changed to allow for larger fishing vessels. 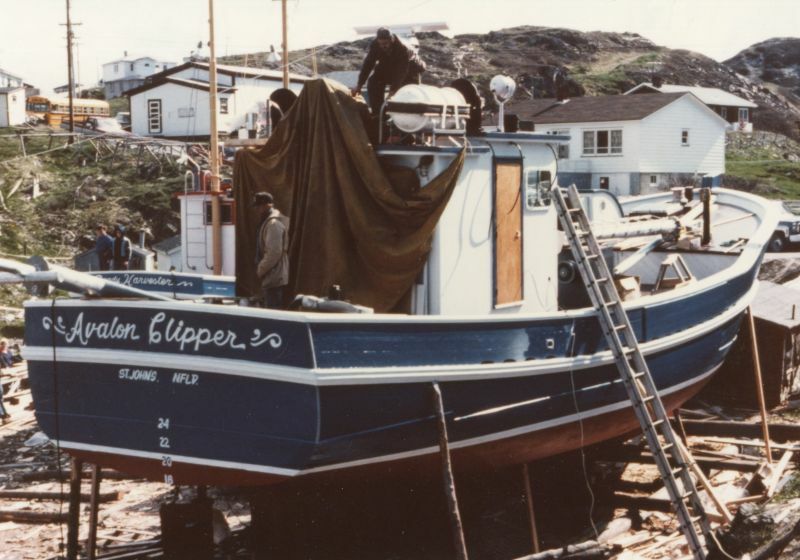 In 1981, Vernon built the fifty-three foot Avalon Clipper from plans drawn by master shipbuilder and designer Reuben Carpenter (1911-2001). 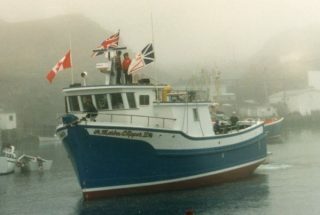 “I used to have a lot of mackerel and herring aboard of her, cause I’d have them on deck too. 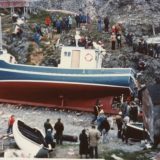 You probably couldn’t do that now. 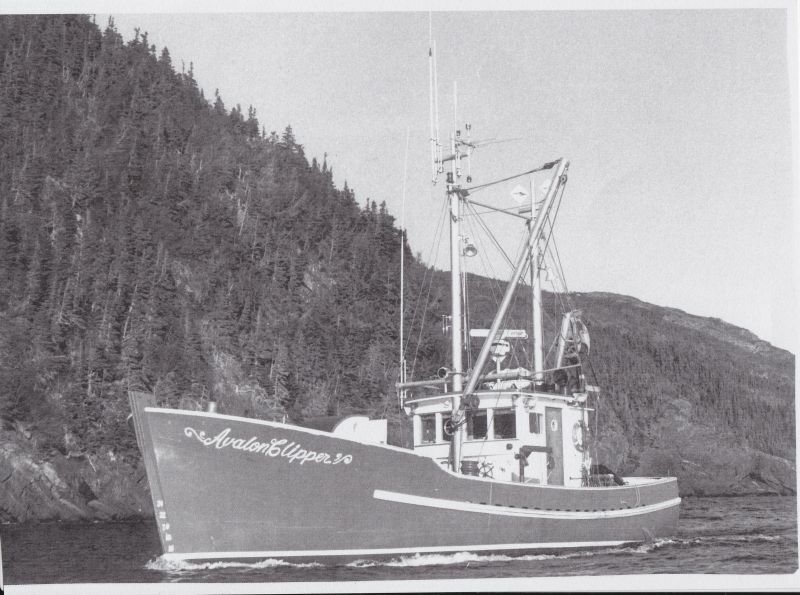 I’d have 90,000 pounds on her,” Vernon said. 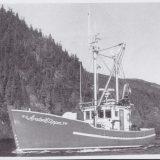 The last wooden longliner built by Vernon was the Marine Clipper II launched in 1988. 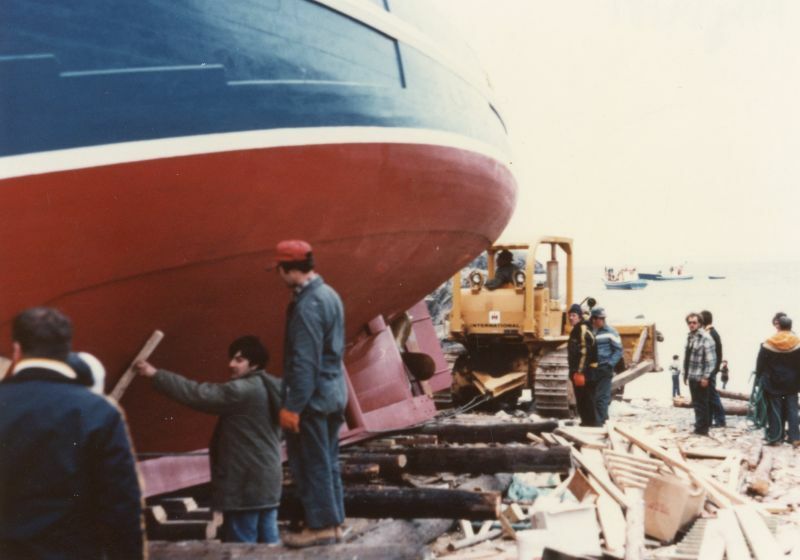 She was designed to be fifty-eight feet, but Vernon added one extra foot. 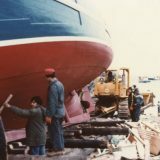 “They’d always be against us, didn’t want us to build a big boat and we wanted a bigger one,” said Vernon with a smile. 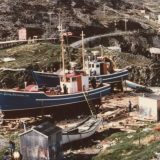 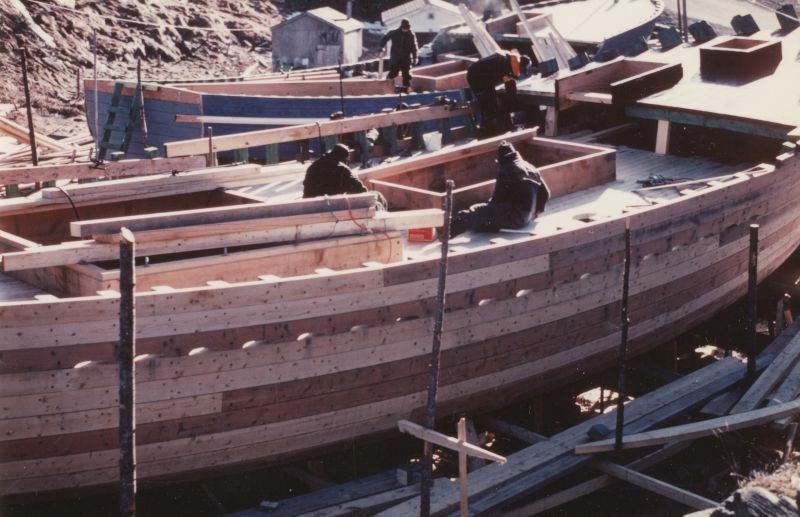 A great story of a timeline of building great wooden fishing boats. 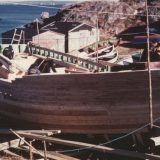 I remember hearing about the Pettens years ago when I was looking for written materials for building boats . 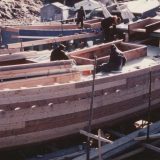 A good pieve of wooden boat history .